After Celebration, I came home with 8 lanyards of pins, a bag of patches and a 3 inch high stack of paper goods. 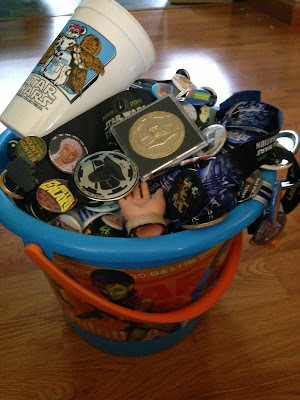 The freebies from Celebration were so overwhelming, I had to stow it away for a while in a large bucket. 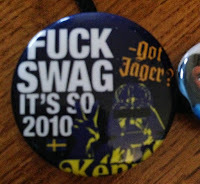 It was too much to deal with. Now, as I am incorporating it all into the collection, I have some time to look over the endless creativity and generosity that came out of Celebration. 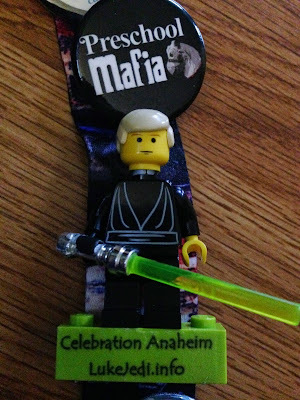 Yes, the Celebration store had some gems. But the best exclusives hands down were the unique ones tailored for Star Wars collectors made by other collectors. 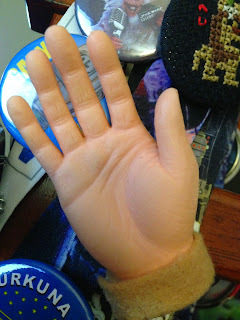 Hands down in the literal sense also because there was even a severed hand pin! Everyone had unique ideas and many complemented other pins without even intending to do so. 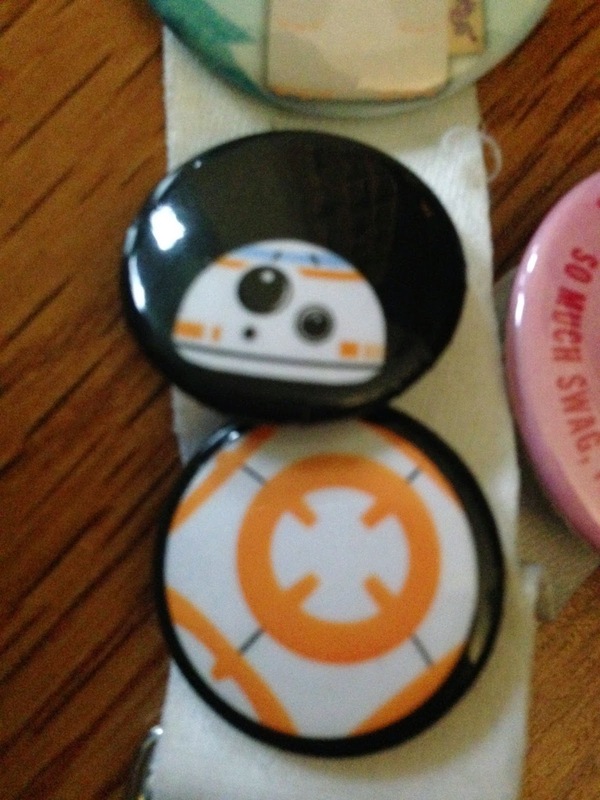 Some folks made BB-8 pins to celebrate the new film. 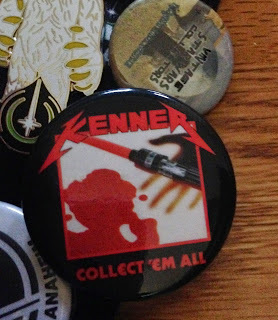 Some pins had clever humor. 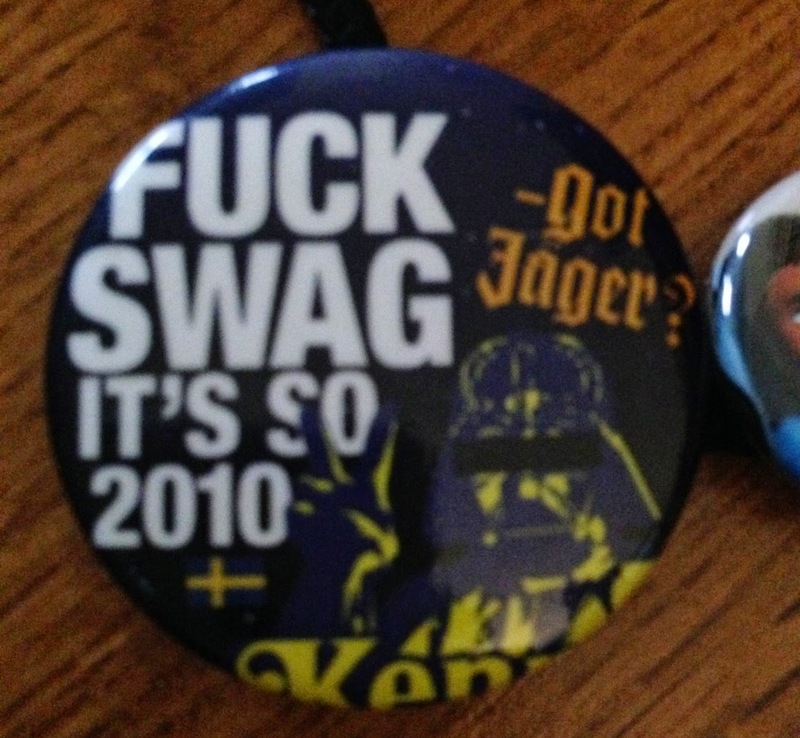 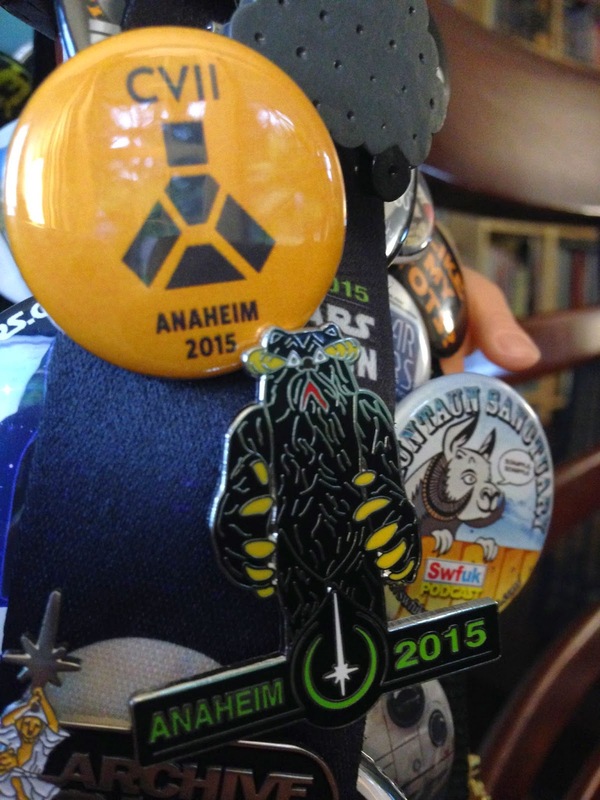 ...and pins for partiers at Celebration. 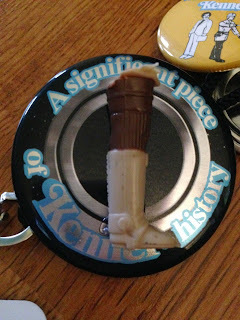 There were pins that celebrated the distant and not so distant past. Of course Lego Jedi Luke was there. 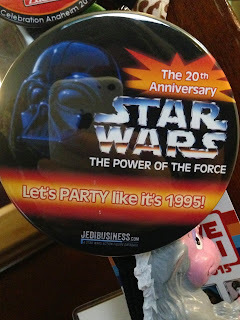 And the bizarre was not too far away. Square pins came as card back proofs, bootlegs and trading cards. 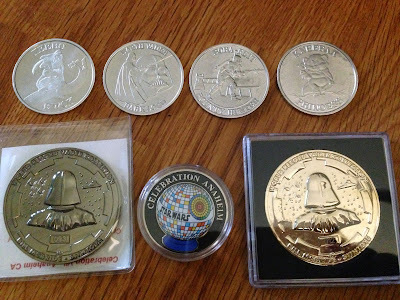 There were several stunning coins handed out as well, including a set of 4 Kenner style coins offered up by the hobby's most prolific coin collectors and a full color coin celebrating the best Star Wars pencil sharpener ever made. 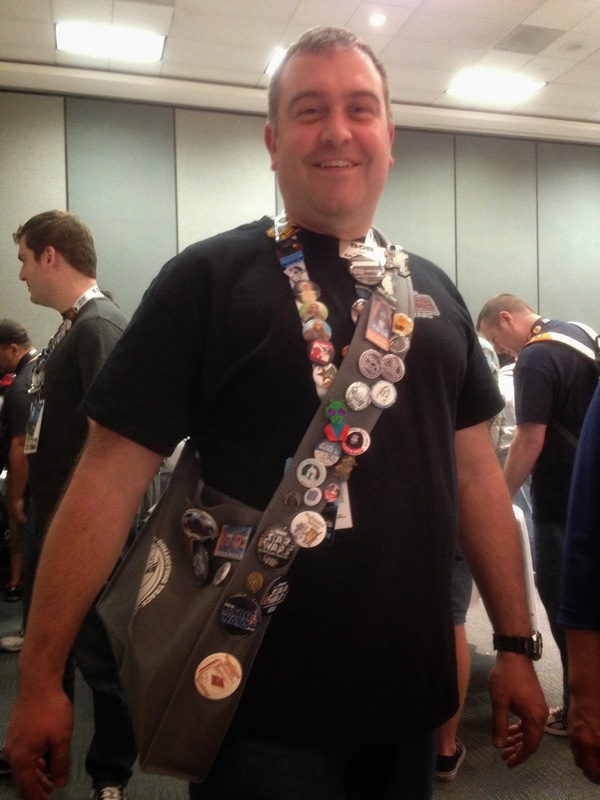 The Vader medallions were so talked about that they won best swag of Celebration award from the Collecting Track. We may never see the onslaught we saw in April in terms of fan made items. 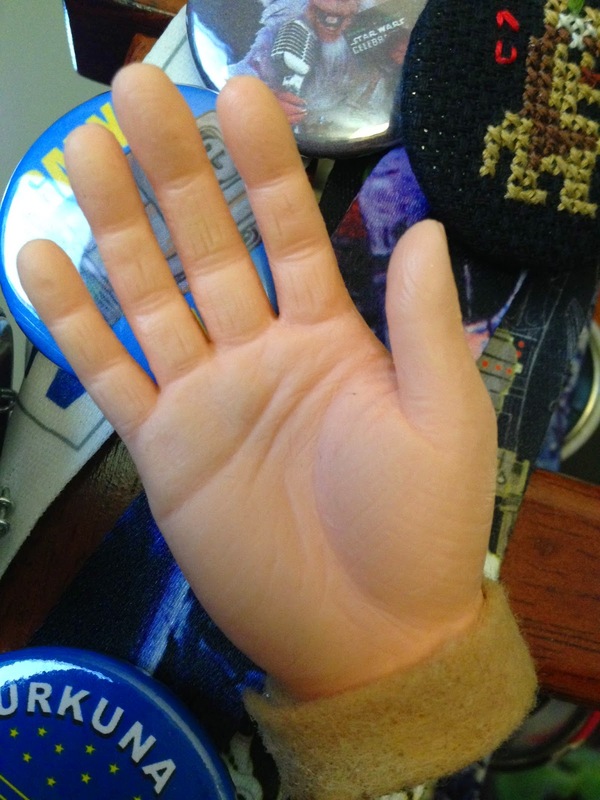 Perhaps we've all burned ourselves out. 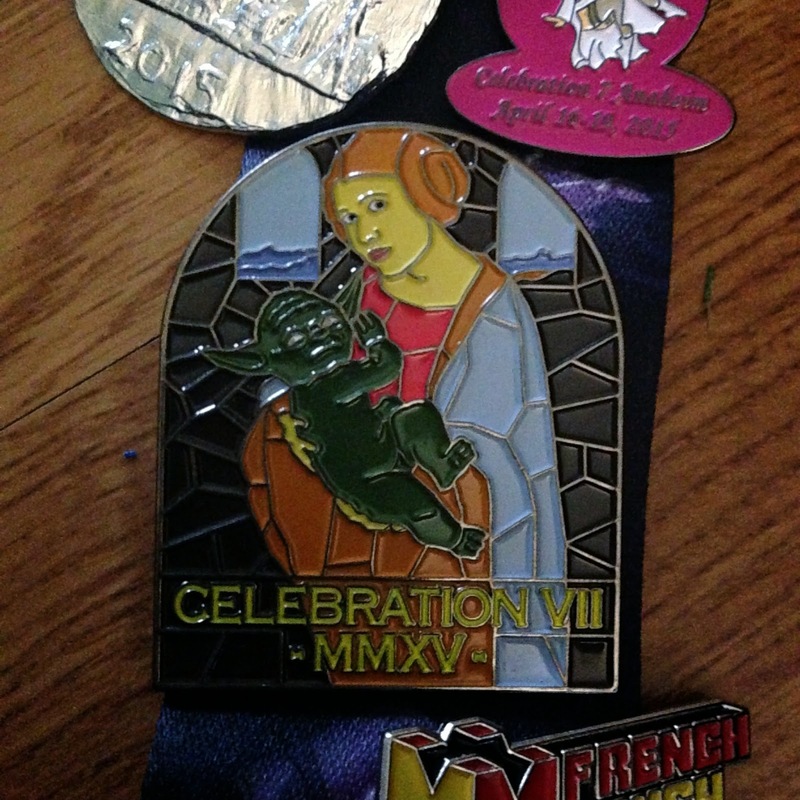 After all, these pins existed directly as a commentary on the exhausting amount of freebies. 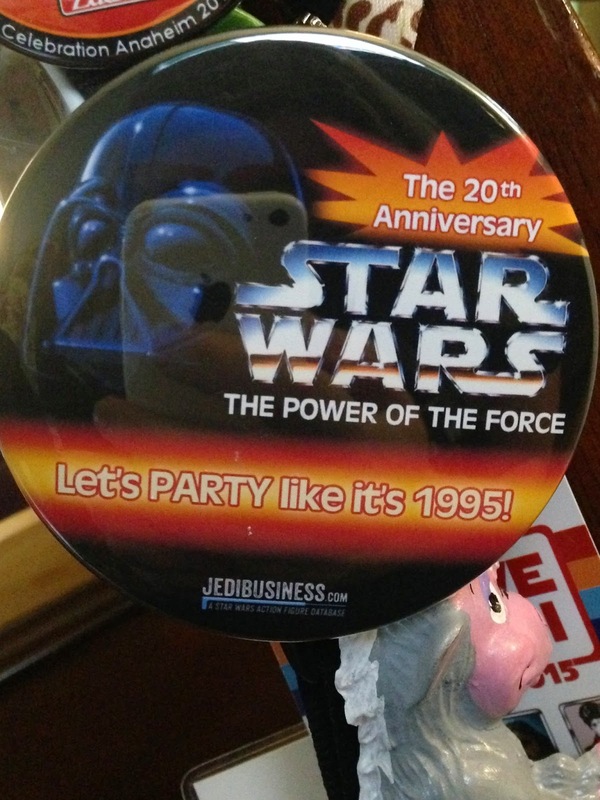 While it may be too early to think about next Celebration… never say never. 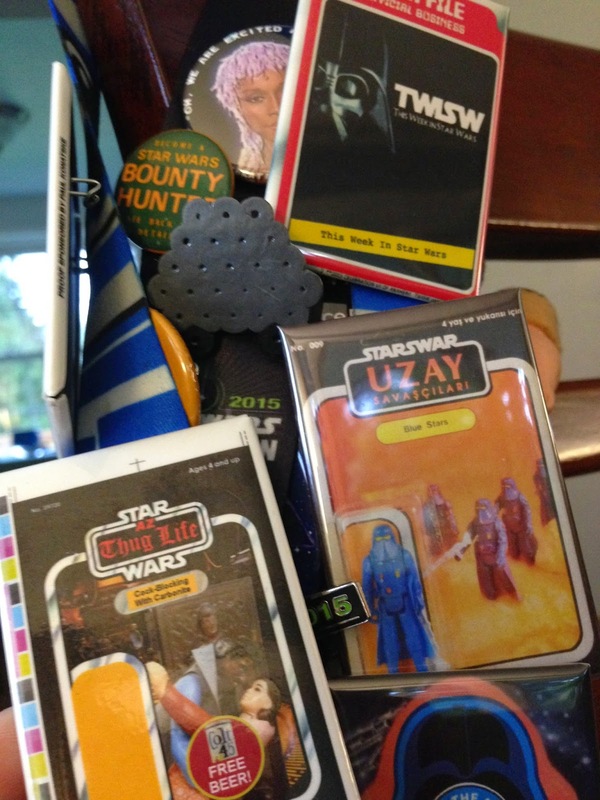 As I ran into fellow R2 builder and Jedi Luke collector Bob Martinazzi during the swap meet, I realized he's on to something. Maybe folks need a swag bag for all this swag.